If you work in business, you have to be concerned about productivity. We spend time thinking about productivity in terms of how many people we have working and when, but if you make a lot of calls and you’re not using a predictive dialer, then you’re missing out on a key way to increase productivity and save money. The first step in understanding how a predictive dialer can save you money is knowing what it is. The slowest way of calling is to simply use a phone the way most people do, and small businesses that don’t need to make that many calls can usually get by with this method. But if you have a call center or make lots of calls, then you need a way to dial numbers more quickly, which is what a power dialer does. You might have one of these already, but a predictive dialer is another step up from a power dialer. The power dialer leaves it up to your agents to initiate another call once the previous one has ended. A predictive dialer can predict when calls are coming to an end and start making the next call before the first one is even over. 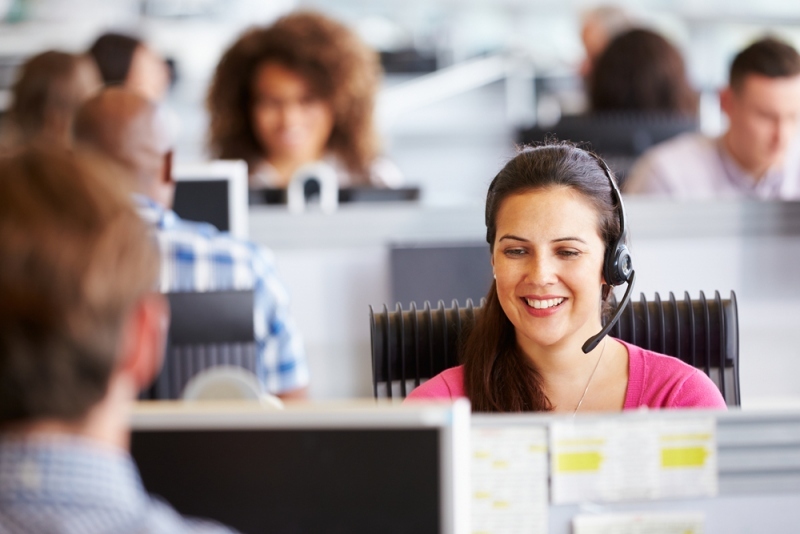 Predictive dialers use a special algorithm to predict how long a given agent will be on a call. This is based on the type of call and the agent. When the dialer predicts a call is getting ready to end, it calculates the best time to start dialing the next number so there is no down time. As soon as an agent gets free, the predictive dialing system immediately directs them to a live person. There are no answering machines, busy signals, or unanswered numbers for the agents. There are few worse sounds at your call center than phones that just keep ringing, busy signals, or the start of that clever voicemail box message. When your call gets you one of these responses, you don’t make any money and your paying agents for empty time. A predictive dialer eliminates all this. How many of your calls don’t ring through to the right person, for whatever reason? Possibly as many as 25 percent. With the predictive dialer getting you past these at lightning speed, you can make more useful calls in the course of a work day. It takes some mental energy to move from the end of one call to the beginning of the next, and it’s only natural that agents take a moment to stretch, yawn, or get a drink between calls. But when that happens too much, you could be wasting between 10 and 15 minutes per agent, per shift, in addition to scheduled breaks. It’s not just a matter of keeping people from taking too many stretch breaks. There’s also the mental distraction. It takes mental energy to get back on task, and it can be hard to summon up this energy on our own, particularly when we have to make a phone call. A predictive dialer takes away that stress for your people. Few things are more discouraging on the call center floor than trying to reach a target of calls or sales only to run into a long string of busy signals and voicemail boxes. Whether agents are trying to reach personal or competitive targets, you can keep them from losing heart and slowing down just because they got a bit unlucky in a string of calls. A predictive dialer could save you an enormous amount of money over the course of a year. In fact, the more calls you make, the more a predictive dialer will help.